I have created a new SPList and when I create on newitem, it opens the newform.aspx as usual and strangely, am getting a message/warning message below of IE browser. Am not facing this issue in Google Chrome and I have never faced this issue when I have developed many UIs along with SPServices, JSOM etc before. Not the answer you're looking for? 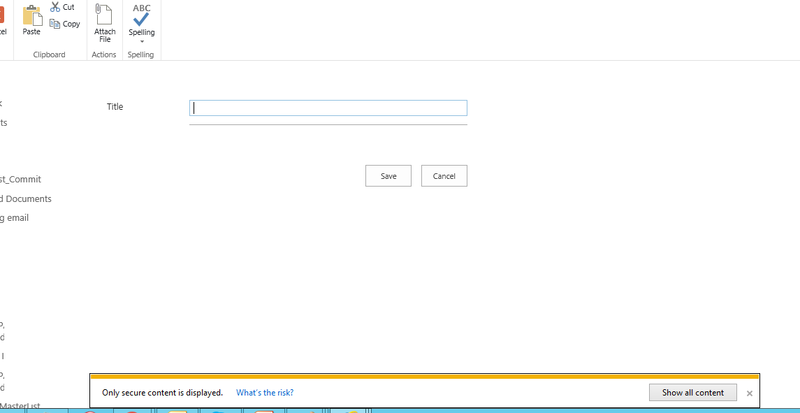 Browse other questions tagged sharepoint-online splist internet-explorer newform or ask your own question. Sharepoint Designer SPList option “Hide from browser” in code? How do I make a dynamically created SPList read-only in browser, but editable in code?